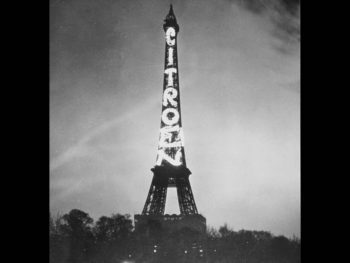 In 1925, Andre Citroën saw the opportunity to emblazon the side of the Eiffel Tower with his name in lights – just six years after starting the Citroën brand. A huge publicity stunt, perhaps, but the mere fact it was even allowed on what is now considered a national monument demonstrates just how influential, and French, the brand is. And there’s little need to mention cars like the Traction that pioneered front-wheel drive, the DS that’s frequently credited as being the most advanced car built generations ahead of its time, or the SM that captured imaginations with its Maserati V6 heart. And then there was the antithesis of those cars; the 2CV, which almost single-handedly enabled French farming to modernise. Coming up to the company’s centenary year in 2019, today, Citroën’s unmatched history in changing the game is being put to good use, as the company undergoes its latest transition to SUVs and electrified power. However, once upon a time the company famously ignored its past, stubbornly looking only towards the future. Today’s Citroën is a very different brand and even its latest advertising campaign focuses on its rich and varied heritage vehicles. With 10,000 sales and aftersales points in nearly 80 countries, Citroën sold more than one million vehicles in 2017. The year marked Citroën’s highest volume of sales in Europe in six years, with registration volumes growing at twice the European market rate (cars + LCV). In part, this was thanks to Citroën’s new SUV offensive; with the C5 Aircross, launched in September in China, and in Europe with the C3 Aircross, launched in October. Each model is planned for global rollout this year and, by July 2018, the C3 Aircross had accumulated an impressive 90,000 customers in Europe. Unveiled late 2016 and launched 2017, the new C3 became the brand’s best-seller, accumulating more than 300,000 sales in fewer than 18 months since launch, by March 2018. As for the C5 Aircross, which has already sold more than 40,000 units in China, the model will be launched in Europe late 2018 and represents the brand’s flagship model, equipped with Progressive Hydraulic Cushion suspension – a hybrid suspension design with notions of the brand’s infamous hydraulic suspension – and will also serve as the platform for Citroën’s first plug-in hybrid, due at the end of 2019. Joining the C5 Aircross in China is the C4 Aircross, which is built on the European C3 Aircross, but with added 12cm length for the Chinese market. It will be built locally by Dongfeng Citroën in Wuhan and launched in the second half of the year and was first displayed at the Beijing Motor Show in April. Furthermore, Citroën’s second largest international region after China – Latin America represents a major challenge in the brand’s offensive outside Europe. After recording growth of 13.8% in 2017, Citroën will introduce the new C4 Cactus SUV, which is developed and produced at Porto Real in Brazil. With a new product offensive, Citroën also decided to drop its long standing product name ‘Picasso’ that has been in use since 1999, changing the C4 Picasso’s name to C4 SpaceTourer. Having sold more than a million units since its introduction in 2001, fleet staple, the C1 is undergoing a refresh this summer, having sold more than 14,000 units in France alone in 2017. In a difficult economic environment, Citroën sold 131,821 vehicles in 2017 in the China & Southeast Asia region, down on 2016’s 250,297 units sold. However, it is noteworthy that sales for the new C5 and C6 were stable versus 2016, despite weaker demand in this market segment. Sales were up 13.8% in most Latin American markets, with Chile jumping 47% thanks to the success of the new C3. Sales also rose sharply in the India Pacific region, (up 36%) thanks to strong demand for the new C3 and ahead of India market launch in 2020. The momentum in sales for the Grand C4 Picasso (up 126%), particularly in the B2B segment, also pushed up the brand’s sales, by a strong 33.4% in Eurasia. Finally, the company’s future plans are cemented as a part of the the larger PSA Groupe’s, with electrification on the horizon. Citroën were one of the pioneers in this field, launching the C-Zero alongside the Peugeot Ion and Mitsubishi i-Miev in 2009. Since then, the Citroën DS5 (pre-DS breakaway) was sold with a diesel hybrid that was relatively unique on the market but short-lived. The C5 Aircross will be the first plug-in hybrid for the brand, featuring 300bhp and all-wheel drive – to be launched in 2019. As for battery electric cars, Citroën has confirmed its next EV will arrive in 2020. Critically, every Citroën on sale will be offered with a form of electrification by 2025. What have been the best-selling cars/vans on fleet? The best selling cars are currently the C3 and C4 SpaceTourer/Grand C4 SpaceTourer range. 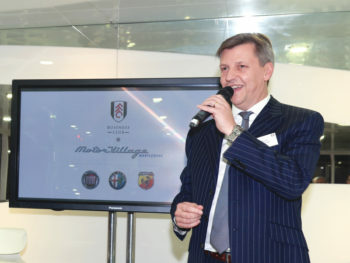 For LCV it’s the current Berlingo (New Berlingo still to be launched) and Jumper (known as Relay in the UK). What is the outlook for the coming year? The outlook is very encouraging. New C4 Cactus and New C3 Aircross are establishing themselves successfully in the B2B market across Europe and we will soon have New C5 Aircross, which we have high ambitions for in the European B2B marketplace. With Citroën targeting China and other markets, will we start to see more market-specific cars? Citroën’s ‘Core Model Strategy’ means each new core model is to be industrialised and marketed worldwide, but with slight local adaptations to meet local expectations. For example, New C5 Aircross SUV is produced in China and Europe. The objective is to reduce the number of body shapes and to cover the marketplace more effectively, and therefore to sell each body shape in larger numbers in the interests of efficiency and profitability. Electrification is on the tip of everyone’s tongues. How does Citroën plan to make an impact here? We have already announced that New C5 Aircross SUV will be the first Citroën with a plug-in hybrid petrol-electric powertrain at the end of 2019. Citroën’s target is to have 80% of the range with an electrified product offering by 2023 (either 100% electric or PHEV) and 100% of the range with an electrified offering by 2025. 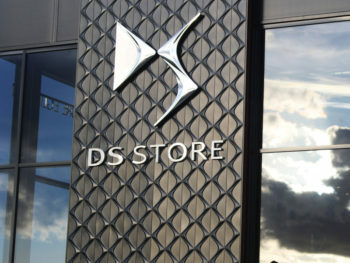 Having broken away from the core brand in 2009, DS Automobiles is now an independently operating premium arm of Citroën under the PSA Groupe.